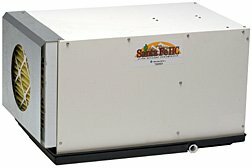 Specially designed dehumidifier for compatibility with the harsh demands of crawl space dehumidification. This unit is very compact, has high air output, and is optionally ductable. Free Digital Humidity Gauge with Purchase.